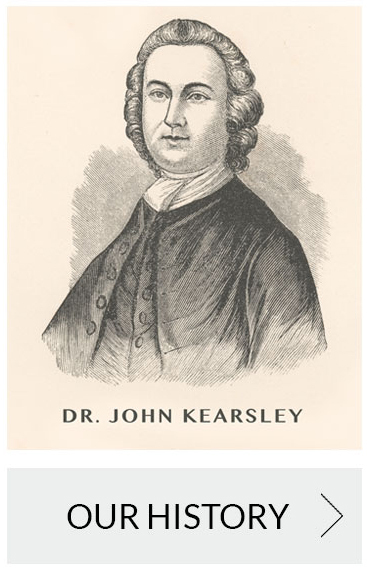 Dr. John Kearsley, born in 1684, was a minister of Philadelphia’s Christ Church as well as a well-known physician. He served as an elected member of the PA assembly and was involved in the design and construction of the State House (Independence Hall). He passed away at at age 88 and left a legacy to establish Christ Church Hospital on his property as a residence for poor and infirm women. Today, his exquisite, manicured property is home to Kearsley Rehabilitation & Nursing Center. © 2019 Kearsley Rehabilitation & Nursing Center. All rights reserved.